These quinoa recipes will give you an idea of just how versatile quinoa is. Use it in cold salads or in hot dishes. You can even buy quinoa flour to use for gluten-free baking. 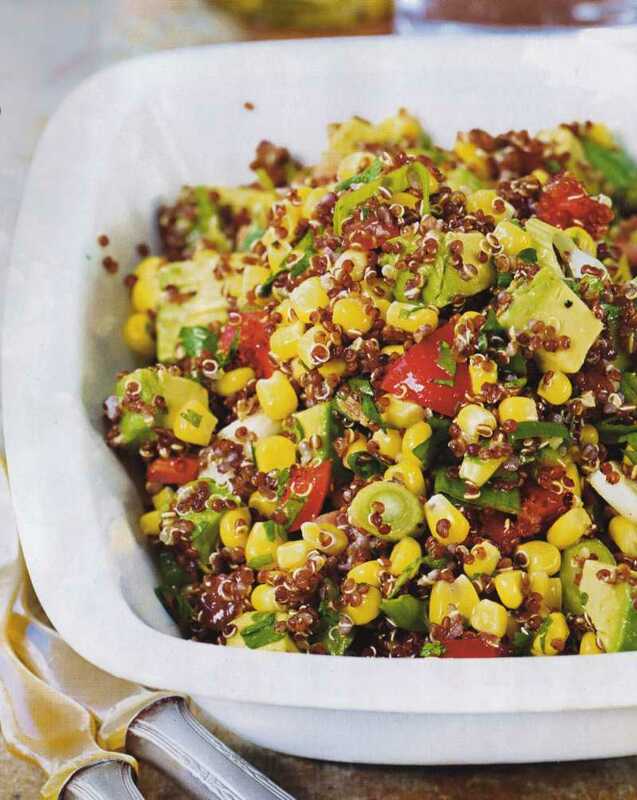 These recipes touch on a few of the many ways to use quinoa. If you have one of your own we would love to hear from you! You can submit your recipes HERE. But back to quinoa recipes or at least a word about quinoa. If you have never used quinoa you might still be under the mistaken impression that Quinoa is just the quirky title of the 1992 album by Tangerine Dream. And while that is true, we are talking about the kind of quinoa we eat...and love! Seriously, we at All-Veg really love quinoa. It is so great in so many things and has so much nutritional value that you would really be remiss if you didn't include it in your menu plans at least once a month (or more)! 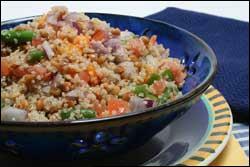 So check out the quinoa recipes and enjoy some of this wonderful food! 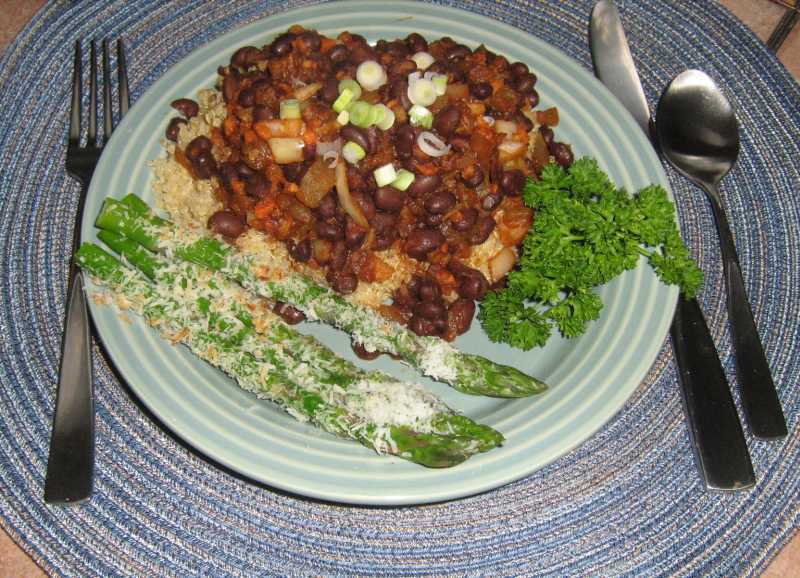 Try this delicious quinoa recipe - combining black beans and seasonings for a delicious, quick, easy to fix dinner entré. Place 2 cups of water in a medium to large saucepan. Add the quinoa and stir to mix into the water. Bring to a boil. Reduce heat to simmer and cover. Allow the quinoa to simmer for about 15 minutes or until the water is absorbed. Meanwhile, in another medium saucepan, add the beans, chilis, onion, carrot and spices. Stir to mix. Heat through on medium heat. 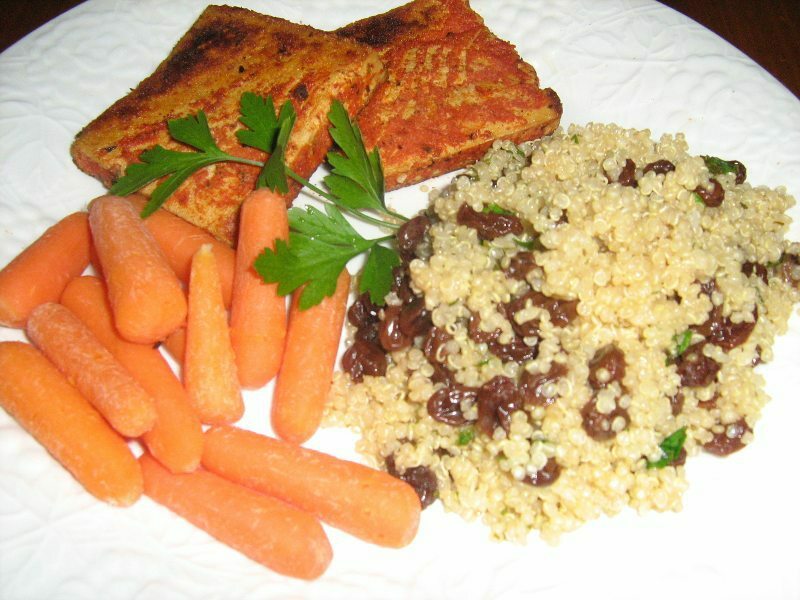 Place cooked quinoa on serving plates and cover generously with the black bean mixture. Top with some sliced green onions. Serve with a side veggie and some fresh fruit. It seems that there are endless possibilities for combining quinoa with other vegetables and fruits for breakfast, lunch or dinner. 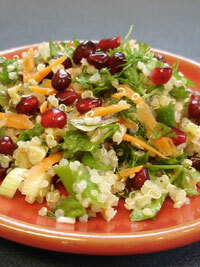 A cold quinoa salad or a hot quinoa dish...they are all good and good for you! This hot quinoa dish combines raisins and quinoa along with a little lemon juice and fresh parsley. Serve it warm with your favorite dinner entree or keep it cool and serve it up for breakfast! to simmer for about 15 minutes. Steam whole asparagus for 3 minutes or until bright green. Remove from pan immediately, drain, and let rest on plate with ice cubes. Slice diagonally into 1/4-inch pieces. In a separate bowl mix olive oil, lemon juice, salt and pepper. Toss with quinoa mixture and then add 3/4 cup pomegranate seeds. 4 g protein**, 3 g dietary fiber, 165 mg sodium. toss to combine. Add cilantro and mint, and toss to combine. The salad should be served the day it is made. Per serving: 140 calories, 5 g fat (<1 g saturated fat), 21 g carbohydrate, 3 g protein, 2 g dietary fiber, 300 mg sodium. water in a large saucepan; bring to a boil on high heat. 10 to 12 minutes. Let stand for another 10 minutes. crisp tender or about 4 minutes. Add in the garlic, stir and cook another 30 seconds. while stirring, for another 5 minutes. Add the cilantro and the cooked quinoa and heat through. Contains only 165 calories and 3 grams of fat per serving. and a glass of Shiraz.